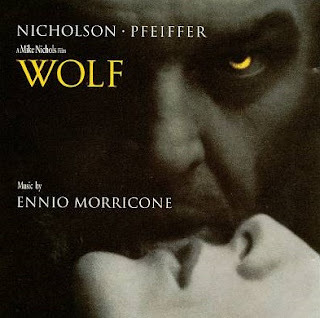 Ennio Morricone’s score for the 1994 Mike Nichols movie starring Jack Nicholson and Michelle Pfeiffer is rather underrated. He doesn’t do a lot of horror scores for Hollywood – you have to go back to John Carpenter’s The Thing (1982) for a memorable one. Here in Wolf, he channels a jazzy noir-ish style mixed with orchestral strings and electronic synths. The result is not quite spectacular, but interesting enough for fans of Morricone. It is a score that grows on you, centering less on clear, discernible melodies; instead the music is more atonal and atmospheric, but with structural cues to guide the listener. 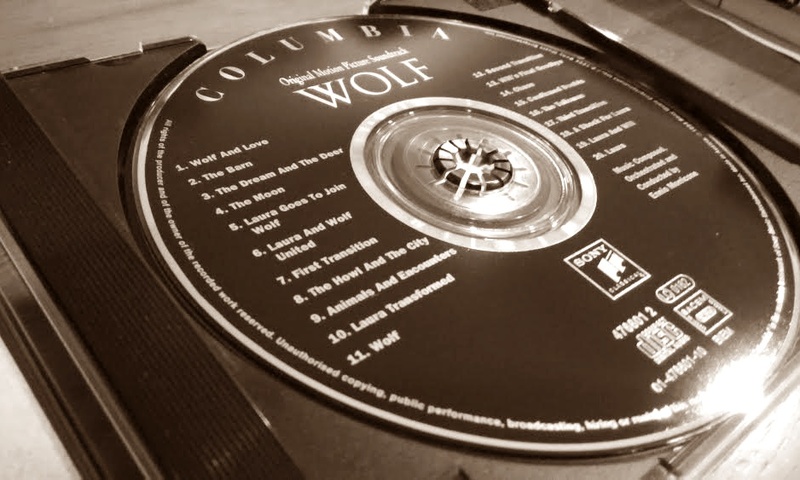 ‘Wolf and Love’ – The opening track sets the mood. It is ominous, but the lush strings at the start give it a sense of warmth and love. The French horns play one of the score’s two main melodies with accompanying strings and synths. There is a quick rhythmic electronic cue that punctuates the track with attacking intensity. This would be a recurring leitmotif throughout the score, perhaps indicating a kind of hybrid transformation i.e. a wolf-man, as paralleled by the score’s mix of electronic synths with organic orchestral instruments. The leitmotif gives the score a more startling emphasis or dissonance. ‘The Barn’ – Harp and strings accompaniment give this track a serene quality. The score’s other main melody is performed by the saxophone in a jazzy sensual manner. Wished this piece was longer. ‘Animals and Encounters’ – A terrific dramatic cue underscored with elements of horror. The theme from ‘The Barn’ recurs, before the electronic leitmotif sets in as a prelude to a sudden change in rhythm. Morricone masterfully paces the track with the use of drums. ‘Chase’ – The score’s most thrilling section. This track is a solid blast, with heavy use of brass combined with the saxophone. It can get rather frightening with the layering of brass and woodwind instruments together with the incessant, thumping rhythm.